The foremost digital rights group in Africa, Paradigm Initiative Nigeria (PIN) has mobilised a coalition of 35 civil society organisations to write several international bodies including the African Union and the United Nation Human Rights Commission over the recent internet shutdown in Togo. The letter, dated September 14, 2017, was signed on behalf of the Coalition by PIN executive director Gbenga Sesan. It calls on the international bodies to bring a halt to the spate of internet shutdowns in Africa and to publicly declare their commitment to this effort. According to the coalition, internet shutdowns violate basic tenets of human rights and international law. They are not only illegal, but are also not a proportionate response to lawful citizen demands for democracy. They urge the African Union and ECOWAS commission, to ensure that internet and Telecommunication services are kept on in Togo as the political situation unfolds in days and weeks to come. 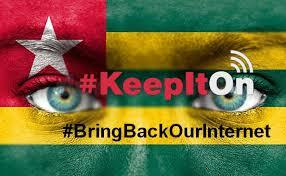 Internet services were initially shut down in Togo on September 6, 2017, owing to the protests by the opposition, demanding greater political participation against President Faure Gnassingbé. The number of disruptions this year, as of September 2017, is seven – Cameroon, Morocco, Mali, Senegal, South Sudan, Ethiopia and Togo. Signatories to the letter include Paradigm Initiative, Reporters Without Border, World Wide Web Foundation, Access Now, Committee to Protect Journalists (CPJ) and Ghanaian Centre of PEN International.